Find the Information You’ve Been Seeking About Orthodontic Work! 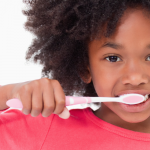 Are you looking for information on how to straighten your teeth? There’s a lot of misinformation about orthodontic work. For instance, there’s a common misconception that orthodontic procedures are for children and adolescents and that adults don’t commonly have braces or use clear dental aligners. That’s not the case! 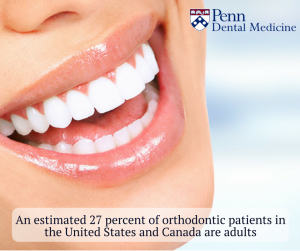 As of 2014, an estimated 27 percent of orthodontic patients in the United States and Canada are adults. In this article, we will explore everything you need to know about orthodontics so that you can make an informed and balanced decision before you start your path towards a tooth alignment procedure for yourself or your family. 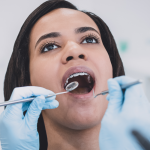 Orthodontics, which can also be called dentofacial orthopedics, is the branch of dentistry specially focused on improving your bite. A solid and healthy bite is made of two sets of straight teeth that meet each other evenly and cleanly. An orthodontist will diagnose your bite and work to prevent and correct any misalignment. 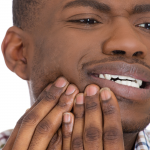 They will use devices like braces and clear aligners for teeth to push them back into place. A retainer will also be used to maintain the work done by them and these other devices. Braces straighten your teeth in gradual steps. They consist of a set of brackets directly connected to each of your teeth that are attached to wires. Over time, your orthodontist will tighten down the braces so that the brackets apply the right pressure to push your teeth back into place. This may sound painful, but modern braces are designed to be very comfortable and gentle. While the time for this method varies between patients, braces are typically used for a period of one to three years. Clear dental aligners straighten teeth as well, but the use a different method. These aligners are see-through plastic devices that resemble mouthguards. First, an impression of your teeth is made so that the aligner trays will fit securely. After using the first aligner for a time, a new tray is made that incrementally pushes your teeth more into place. Over the course of this procedure, a series of aligners are used until your teeth are straightened, similarly to the way braces apply gradual pressure. These aligners need to be worn at all times, excluding when you are eating or during regular meals. These two methods have their advantages and disadvantages, and which one you choose can depend on what kind of treatment you need and prefer. Clear aligners are less noticeable than traditional braces,and are prefered by people who want a less visible alignment option. However, clear aligners mainly treat teeth irregularity that falls within a mild to moderate range. If you require treatment for more severe tooth alignment issues, braces will most likely be necessary. Consult your orthodontic specialist to find the right treatment for you. Why straighten your teeth at all? While there are clear cosmetic benefits from straighter teeth, there are also many health advantages from orthodontic work. You help avoid issues like tooth decay and gum disease from happening or spreading, and you make it less likely to lose teeth. Your speech and chewing can improve, and you also avoid wearing down your tooth enamel in an uneven way and help keep your jaw from suffering any complications. 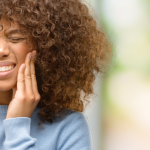 If you’re looking for more guidance and information about how to get straight teeth, contact Penn Dental Medicine for an appointment at 215-898-8965. Penn Dental Medicine is the teaching clinic closely tied with the University of Pennsylvania. The student dentists there are advised by University dentists and can help you with anything from finding the right cost for straight teeth to performing your procedure at the clinic. With Penn Dental Medicine, you can find the right procedure for you and be on your way to straight teeth today!